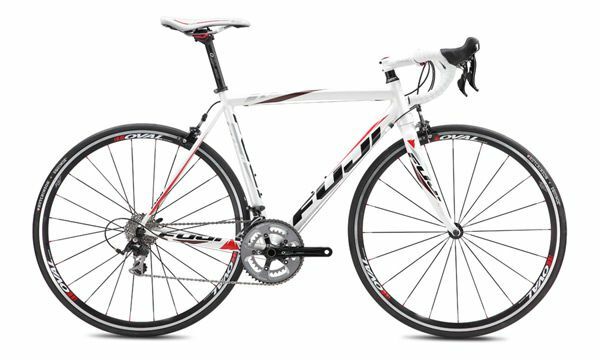 Win: FUJI Roubaix 1.3 Road Bike (worth $1,319!) or one of five autographed Amgen Tour of California jerseys. Giveaway: You can earn up to three entries by logging into the sweepstakes below and doing any of the following: (1) follow us on Twitter, (2) like our Facebook page, or (3) invite a friend. You will earn one entry for each. Ends Monday, May 27, 2013 11:59 PM PST. Good luck! DISCLAIMER: Winner of Bike must be able to pick up prize at a Sport Chalet location near them. This is not a sponsored post. All thoughts are my own. Do not use any pictures without permission!